I was looking back over my photographs, and then I realized that I completely forgot to post that Noble Farms called us and told us to come down and buy all of that corn if we wanted it! It took us a couple of days of scrambling to figure out where to get a dump trailer, but we absolutely took them up on their generous offer. 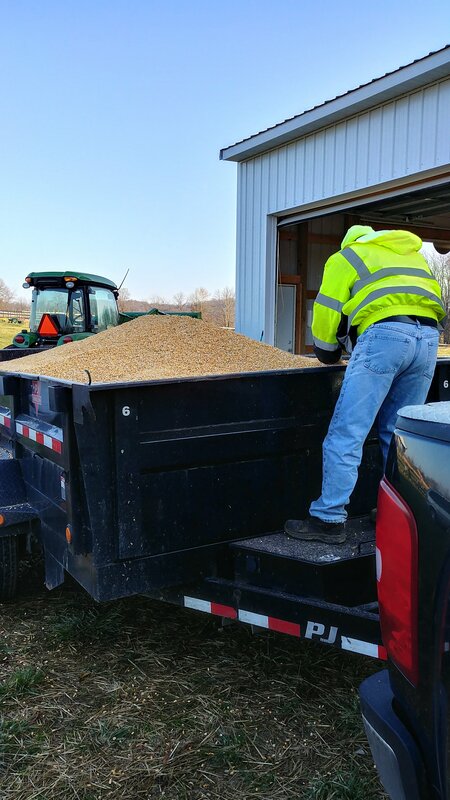 We wound up with about 17,000 pounds of whole kernel corn, and when we took it through the grain mill to have it rolled and/or bagged, one of the men working there said we could store it there. That worked out perfectly! Even with adding in the cost of the corn per bushel, the dump trailer rental, the gas we used going back and forth four times, and the cost to store it at the grain mill, we still are paying less than 1/2 of what we normally pay per bag of corn! 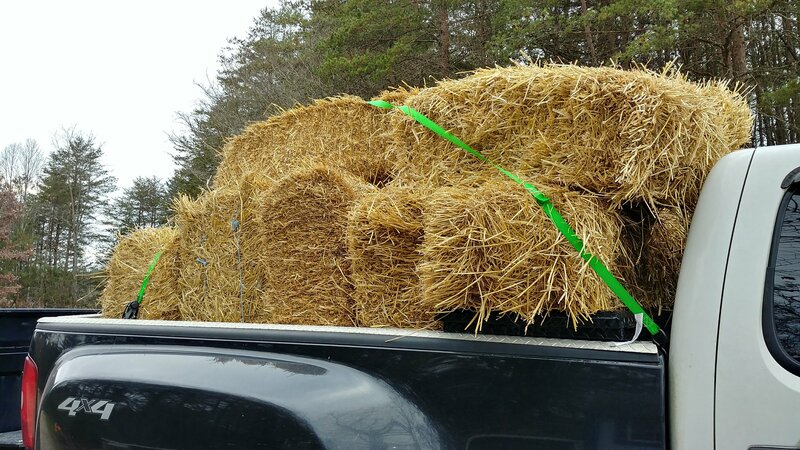 We also bought 20 bales of straw that had always been under a roof for $20! I normally pay $4 per bale of straw anytime I buy it, so this was a real deal! 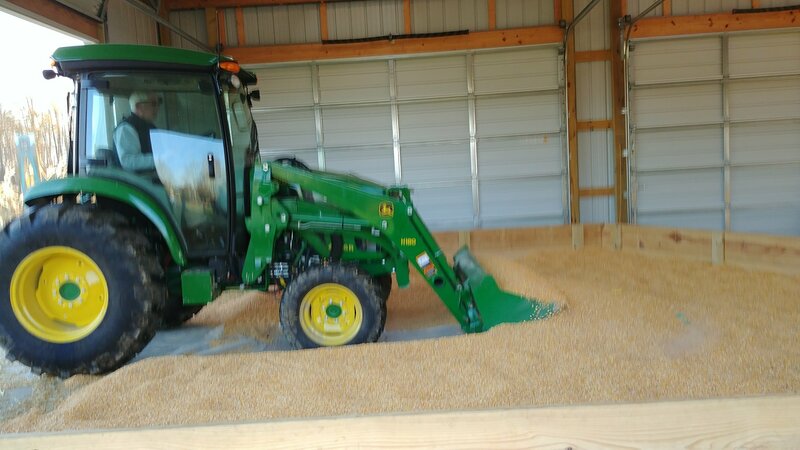 Also, the owner at Noble Farms had to leave before we could go back and get the fourth load. He told us to just come back that following weekend, and he gave us everything that was left for free! We wound up with one of those huge boxes like you buy watermelons out of at the grocery store, and it probably contained at least 600 apples! 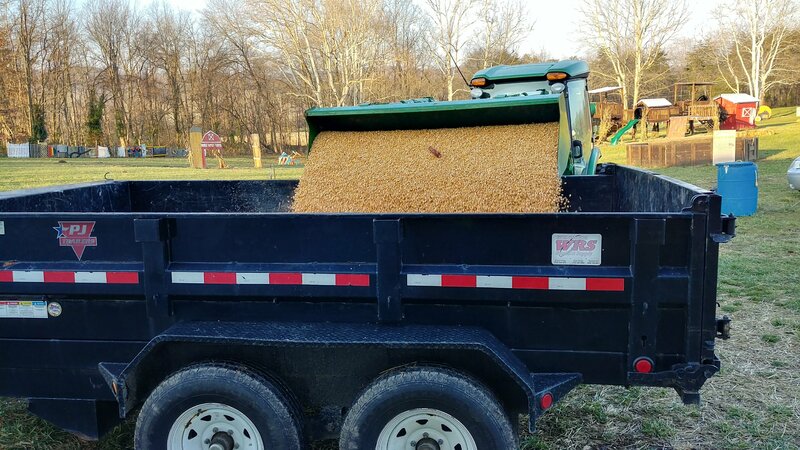 He gave us another 10 bales of straw for free, and he filled the back of the pickup truck with the rest of the whole kernel corn! Ted has been feeding the pigs, chickens, and cattle five gallon buckets of apples every evening, and I swear it doesn’t seem like we’ve even made a dent in that box of apples at all. I brought a few in the house and washed them, and we’ve been snacking on them. It’s been so cold outside that it’s the perfect weather to keep them without worrying about them spoiling. He’s been tossing one or two apples every evening on the ground, and so far that has kept the raccoons out of the box because it’s just setting on the trailer with a tarp over it. I feel like this has been such a blessing to our farm this year!